Oricon held a survey asking their readers which actors they thought achieved their breakthrough in 2018. The actors in the list have made significant leaps in popularity as they continue to be active in several acting projects. Have you seen any of their dramas and movies? Also check out the top 5 actors as ranked by generation below! From supporting actor to male lead! Tanaka Kei finally got his big break this year. Since entering the entertainment industry in 2000, he has appeared in several drama hits such as “Water Boys”, “Doctor X” and has since established his position as a popular supporting actor but did not have a signature hit drama for himself. He starred in the hit drama “Ossan’s Love” in April as Haruta, a guy caught in a love triangle between men and his popularity took off. From a supporting actor, he has impressed upon viewers that he can also be a male lead. The drama has gotten positive feedback and made it to the top 10 Popular Word of 2018. In summer next year, a movie version will be released. 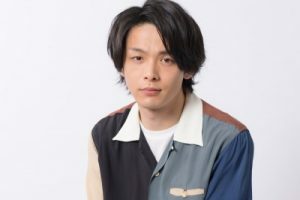 King & Prince member Hirano Sho increased his name recognition when he played the character Kaguragi Haruto, C5’s leader in the drama “Hana Nochi Hare ~ Hanadan Next Season”. He also played lead in 2 movies “honey” and “Ui, Love” this year. In variety programs, his husky voice is often compared to being similar with popular host Akashiya Sanma. As a member of King & Prince, he debuted last May and came atop the Best New Artist for Oricon’s Yearly Ranking, with their singles “Cinderella Girl” and “Memorial” snagging the first and 2nd place respectively. Coming in 3rd is the “chameleon actor” Nakamura Tomoya. Since 2005, he is active in drama and movies but his popularity soared high this year. In January 2018, he appeared in the drama “Holiday Love” (TV Asahi). 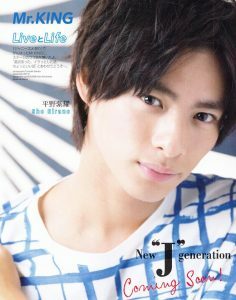 In NHK’s asadora drama “Hanbun, Aoi” he played the character Asai Masato, boosting his popularity with the female audience. 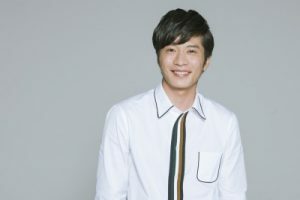 The term “Maa-kun Loss” was also coined, and when his character re-appeared in the 2nd half of the drama, it caused quite a stir in social media. Nakamura also topped the rankings for the actor division for “Yahoo! Japan Search Awards 2018”. He also released his first book last August and gained first place at the weekly rankings. TV Drama Ratings (Dec 7 – Dec 20) – Season Ender “8jida J” program revival: Takizawa Hideaki, Arashi, Kanjani8, Yamashita Tomohisa and More!